An intoxicated Janesville man who told police he was Native American caused more than $10,000 damage to Delavan police cars because the “white man’s law” hurt his sister financially, according to a criminal complaint filed in Walworth County Court. Ricardo S. Ortiz, 30, of 2112 S. Marion Ave., was charged Thursday, March 28, with felony criminal damage to property and disorderly conduct in connection with the March 3 incident. Delavan police asked Ortiz what he was doing, and the Janesville man became agitated, according to the criminal complaint. He eventually began yelling. Ortiz admitted damaging the police cars in protest and said he was frustrated with his sister’s financial situation, the complaint states. Officers reported Ortiz said he hit the cars because of the financial problems and “white people” took his land from him, according to the complaint. Damage to at least three cars totaled $10,361, according to the complaint. A preliminary breath test showed Ortiz had a blood-alcohol concentration of 0.19. Ortiz also was charged with misdemeanor bail jumping because he has a pending second-offense intoxicated driving charge in Rock County Court. As of Monday evening, he was scheduled for a plea and sentencing hearing on that case at 9 a.m. today. 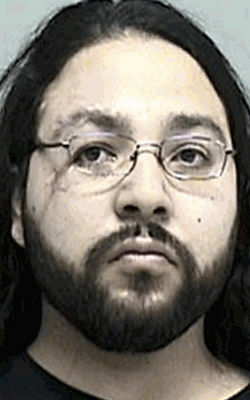 Ortiz is set to appear in Walworth County Court at 2 p.m. Monday, April 15, for a preliminary hearing.